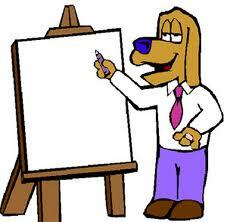 I have written before that the standard of business presentations is pretty poor. In fact the three characteristics of most business presentations are predictability, too much information and Death by PowerPoint. I wonder how much time is wasted in meetings and events listening (or even sleeping) to dull, irrelevant and mind-numbing presentations? By the way I am not suggesting that presentations are worthless. Far from it. A well-designed, exceptionally delivered presentation has immense power to persuade, influence and impact on what and why people do things. It is just that these well-designed and exceptionally delivered presentations are few and far between. Have you ever heard anyone say this about a presentation? Why weren’t there more words on the slides? Oh how I long for more numbers and statistics! Thank you! I like the’finally’ comment. And have you ever heard a speaker say ‘as you can see clearly…’ While peering at a dense, too small font slide? Thank you for your comments. Ha ha – yes that is a good one too Paul! Love it Susan…my laughter is tinged with hysteria though as this happens so often! I do like the manner in which you have framed this particular difficulty plus it does present me personally a lot of fodder for thought. On the other hand, coming from what precisely I have experienced, I only wish when the feed-back pile on that men and women stay on point and don’t get started upon a tirade regarding some other news du jour. All the same, thank you for this fantastic point and while I can not concur with the idea in totality, I respect the point of view. My partner and I absolutely love your blog and find a lot of your post’s to be exactly what I’m looking for. Do you offer guest writers to write content for you personally? I wouldn’t mind writing a post or elaborating on some of the subjects you write about here. Again, awesome web log!